With Christmas just a few days away I thought I’d give you kats and kittens some retro Egg Nog recipes to get your Christmas shindigs really swingin’! 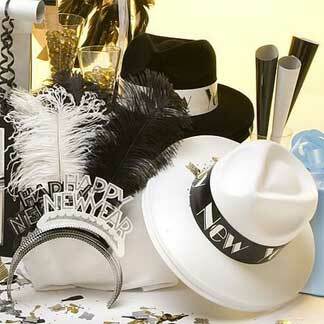 After all, you can’t have a retro, mid-century-style Christmas affair without a generous amount of booze flowing. And the easiest way to get your guests sloshed is with a couple of cups of good, strong, traditional eggnog. With these recipes, even the most uptight conformists will have lampshades on their heads before Santa makes an appearance. 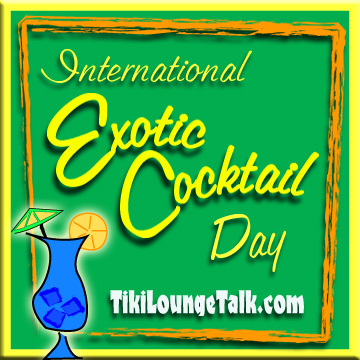 But be warned…these concoctions have been known to make some guests disappear two-at-a-time (and sometimes three) to darkened, upstairs rooms while the party is in full swing in the parlor! I’m kind of lazy when it comes to Eggnog, so my personal recipe is the kind that uses pre-made non-alcoholic nog kicked up with some good booze and spices. Pour the nog into a large bottle and add all ingredients (start with ½ cup of rum and keep adding to taste). 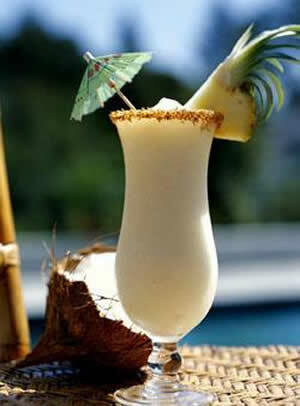 Shake vigorously and chill in the refrigerator for at least two hours before serving. That’s it…it’s delicious. 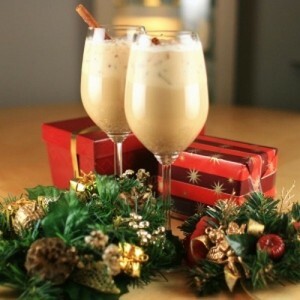 Thanks to Hurricane Hayward of TheAtomicGrog.com for turning me on to this kool Eggnog recipe. Check out his blog for lots of great recipes and more…and also check out RumDood’s post with four more great winter cocktail recipes. 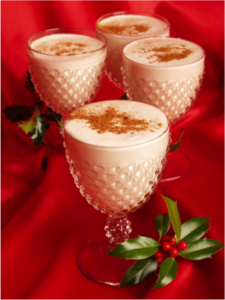 Christmas Yule Eggnog: A complicated but well worth it vintage recipe. Beat first the yolks and then, in a separate bowl, the whites of one dozen eggs. 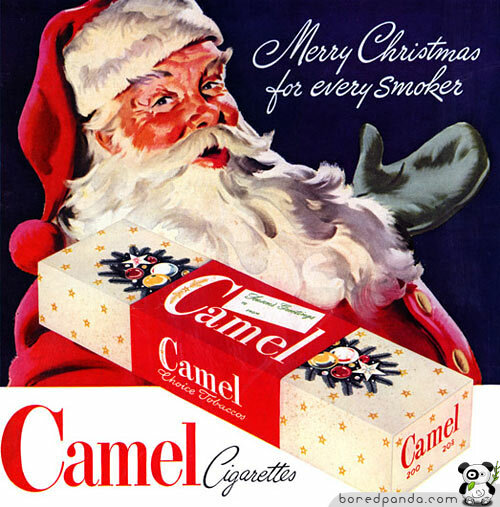 Don't forget to have a tasty Camel cigarette with your Eggnog! Santa approved! Stir. Set in the refrigerator overnight. 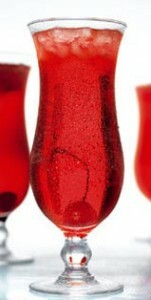 Before serving, stir again and serve in punch cups with sprinkled nutmeg on top. Fannnntabulous stuff. That should keep you kids hammered through the holidays. Don’t forget, you can always add more booze if it’s not strong enough! Looking for a great last minute gift for the retro lover in your life? You can gift an eBook to anyone with an email address from Amazon.com! 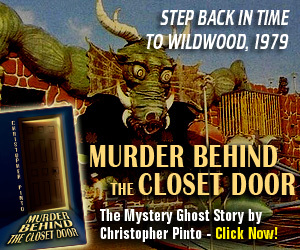 Why not give your loved ones a fun, spooky, retro-tastic murder mystery ghost story…say, maybe, one written by your favorite Tiki culture blogger! 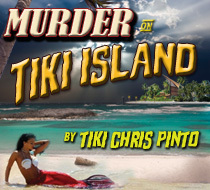 Check out Murder Behind the Closet Door and Murder on Tiki Island, both under $4.oo on Amazon.com! When you think of South Florida entertainment, things like Hip-Hop, Techno clubs and $30 Martinis usually come to mind. Retro-tastic burlesque shows, on the other hand, are more often linked to Vegas and SoCal. Not this weekend. Tattooed beauty Morgan La Rue has been shaking the rafters at The Monterey Club on US 1 in Fort Lauderdale for some time now, and the doll and her ladies will be vamping it up again Saturday night. This Saturday, December 17, Ms. La Rue will bump and grind on the Monterey Stage along with Val Vampyre, Francean Fanny, and Ember Furie (great names for some very hot chicks). If the show is anything like past acts, it’ll be full of edgy, mod-retro burlesque performances, live music and plenty of punk-rock-a-billie rebels in the audience. The show starts at 9; Beer and wine are served and there’s usually a BBQ truck in the parking lot. The Monterey Club is a very kool place for kats and kittens who dig the other side of the retro scene…the tattoos, bikes, hard-slammin’ rock and scantily-clad dolls usually associated with the seedy (and fun) underworld of the mid-century era. But if you miss this show, you’ll miss it forever…unfortunately The Monterey Club is scheduled to close just after New Year’s (for economic reasons). So get your kicks before it’s too late, Jack. 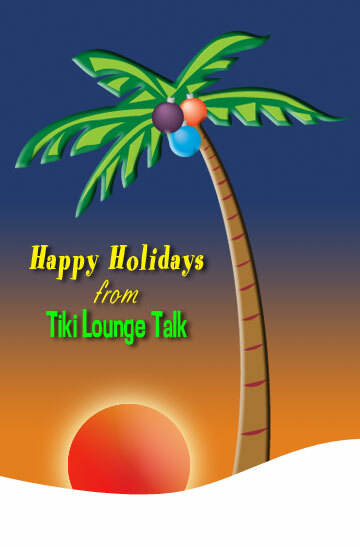 -Tiki Chris P. reporting from the pool hall at Tiki Lounge Talk.